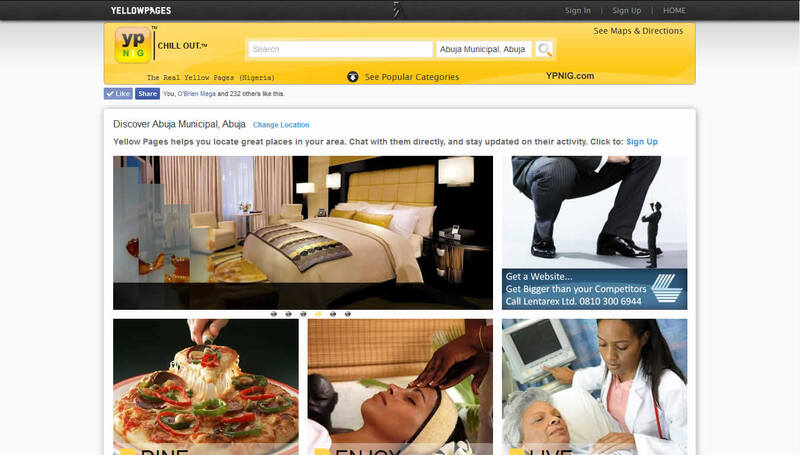 A large-scale Yellow Pages project pre-populated with thousands of listings developed to spark new innovation, new investment, and new jobs — and connect every corner of Nigeria to the digital age. Custom built with Object-Oriented Programming (OOP) patterns, using open-source technologies like PHP 5.4, jQuery, Ajax, XML, JSON, CSS3, HTML5 with an extensive database, driven by MySQL. YPNIG is a real-time information network that connects people with Nigeria’s celebrities, businesses + more. People use YPNIG to receive updates from celebrities & businesses, chat with business reps. Businesses use YPNIG to share information with people interested in their products & services.